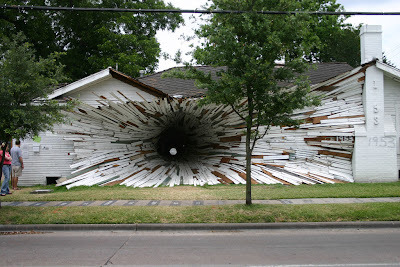 This incredible tunnel house has been posted everywhere two years ago when it has been achieved by artists Dan Havel and Dean Ruck in Houston. 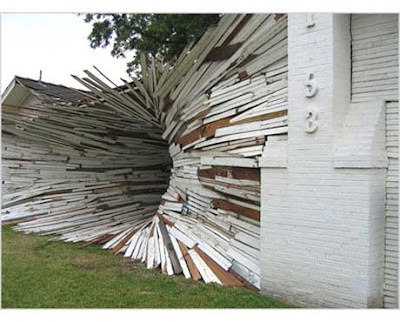 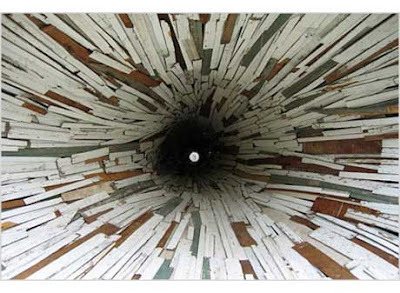 This installation evokes a black hole that absorbs the house's material from inside. 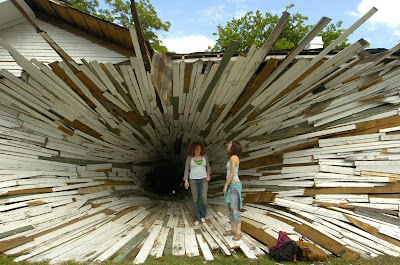 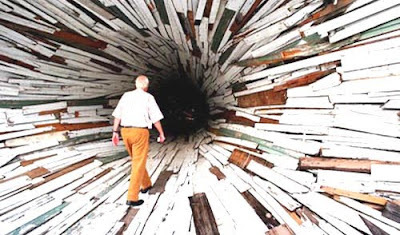 People have then the opportunity to experience this vortex.